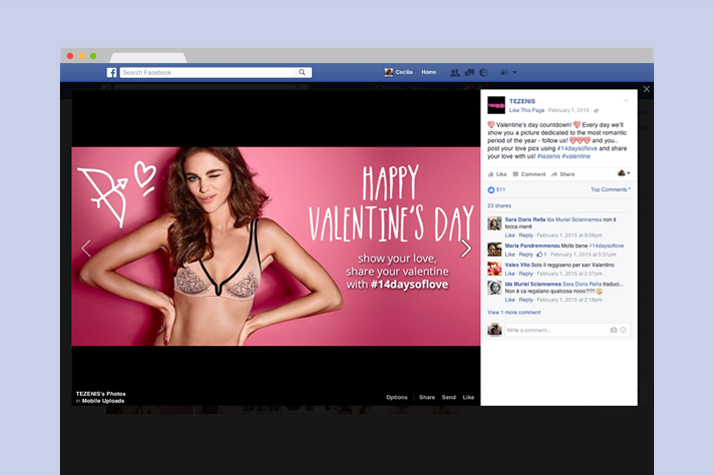 Tezenis, born in 2003, is a young brand of underwear and homewear collections for woman, man and kids. It’s a cosmopolitan brand with a network of more than 500 stores spread over 18 countries. 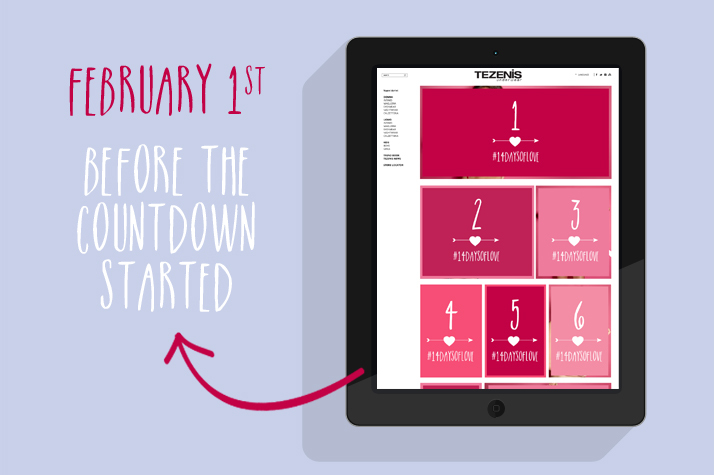 #14daysoflove: a lovely countdown to San Valentine’s Day; the idea behind is to get everyday a different style suggestion to celebrate the right way. CONCEPT DEVELOPMENT – from the brief to the generation of the idea behind the project. ART DIRECTION – of the digital campaign across all the social media platforms. GRAPHIC DESIGN – look & feel and design of the visual images including: lettering, colour-palette, icons.